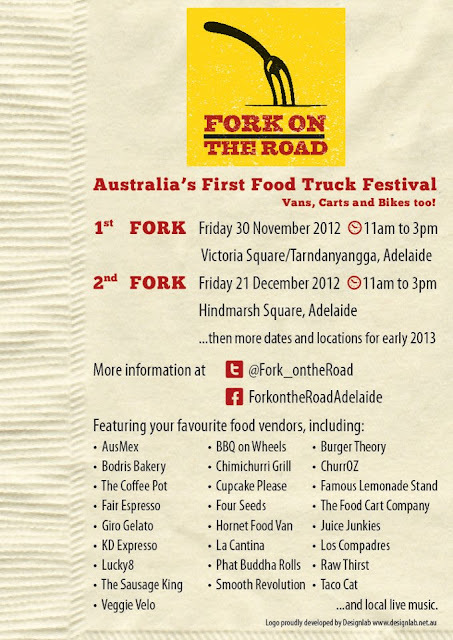 Food Truck Friday - Fork on the Road - Coming event! This post is a little different to most posts we have. This post is happening before an event, because it's something we don't think you should miss out on! It's called Fork on the Road, it's run by Splash Adelaide, and it's an awesome concept. All of the Food Trucks that you can find, in one place at one time. All of our favourites plus some that we haven't tried. We are all trying to decide how we are going to get to all the van's, it's going to be a long lunch for sure! We've already visited a few of these food trucks - check out our reviews here !